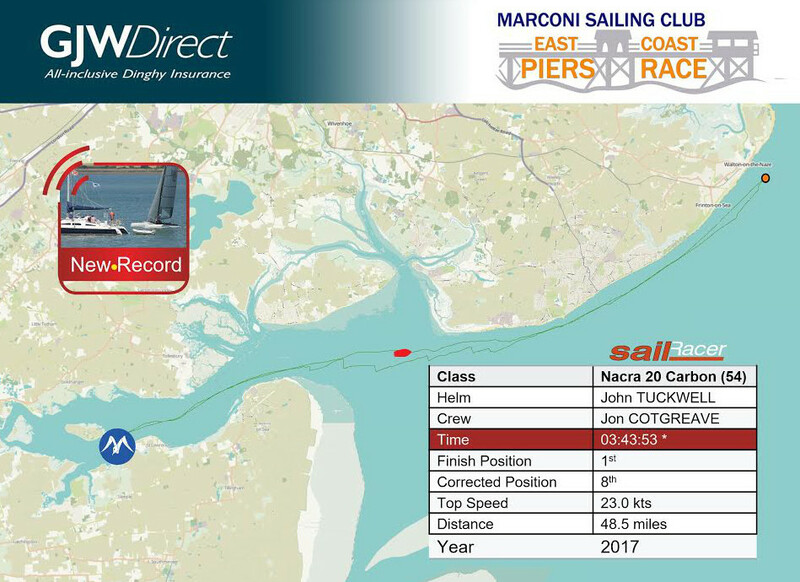 The 2018 Allen Endurance Series heads east this weekend to the 2018 East Coast Piers Race sponsored by Zhik, hosted by Marconi Sailing Club. Enter Now John Tuckwell and Jon Cotgreave, Bala Sailing Club who took line honours last year and set a new course record, will be returning in their Nacra F20 carbon looking to defend their title and fresh from winning the Hellecat Open Dutch Championships. Will Sunnucks, chairman of the UK Cat Racing Association, competing in his high-speed foiling Vampire, crewed by Mark Self, given the right conditions is likely to be pushing for line honours. Winners of Allen Endurance Series Round 1, Grant Piggott and Simon Farren, head a strong F18 fleet and will be looking to defend their 2017 East Coast Piers win. Grant is showing great endurance race form, recently back from winning the famous long distance Round Texel race. SailRacer will be providing live GPS tracking, allowing spectators to follow the action and sailors to see where their race was won (and lost) watching in replay. For the overall winner, an Allen £100 voucher will be up for grabs, based on SailRacer scoring and GPS data, allowing comparison across all three course distances. Zhik as the title sponsors of the event have offered a fantastic summer clothing package worth £500 for the raffle winner, that’s on top of loads of great prizes for the winners across the 3 Sunday races and Saturday series. The current weather forecast looks promising with wall to wall sunshine and a good easterly breeze, which could deliver some long fast reaches and quick times. FREE camping is available on site from Friday through to Monday and there is evening entertainment. Thanks to sponsors Zhik, Allen, GJW Direct, Mighty Oak Brewery, Sailing Chandlery, GP Sails, Yachts and Yachting Magazine and Funky Monkey Boat Names there are some great prizes to be won.